For around 20 years, Ali Smith has had a quartet of novels, named simply after the seasons, in the back of her head. Winter is the second of these novels. The first, Autumn, was shortlisted for this year’s Booker Prize. In a TLS podcast last year, Smith discussed the form of the novel. The word novel means new, and ‘the novel has always formally been about what is new, the newness of its form’. The novel is about time, and the sequential. Yet Smith is interested in how the novel’s interest in now, and sequential time, exists in the now that is cyclical, the experience of time recurring seasonally, the now layered by the past and the future. 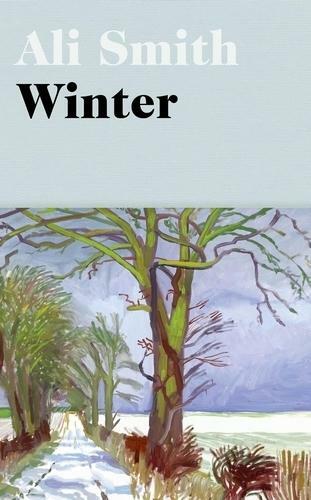 And so, the quartet continues with Winter, out a year after Autumn and taking place in the northern hemisphere winter that’s just past. It is the winter of the election of Donald Trump, coming after the autumn of Brexit. In Winter, Sophia Cleeves wakes up, the day before Christmas, to a floating disembodied head. She is alone in her large house in Cornwall, except for the floating head, which has been there for four days. ‘Christmas Eve morning, 10am, and the disembodied head was dozing.’ Her son Art is due for Christmas. Art was stuck in the Ideas Store (which used to be the reference room), using a public computer, driven from his phone and laptop by a fight with his partner, who has taken over his blogging identity, Art in Nature. As many (northern hemisphere) Christmas stories do, Winter contains an old house, hauntings, a knowledgeable stranger, unexpected arrivals and acts of goodwill. It also gently and yet puckishly gives a context to what is happening now, drawing on everything from Charlie Chaplin to Cymbeline, from Dickens to Barbara Hepworths’ sculptures in stone, to make everything a little less overwhelming. Smith has masterfully done what she always does. She has written a novel in which ‘the human will always surface’.